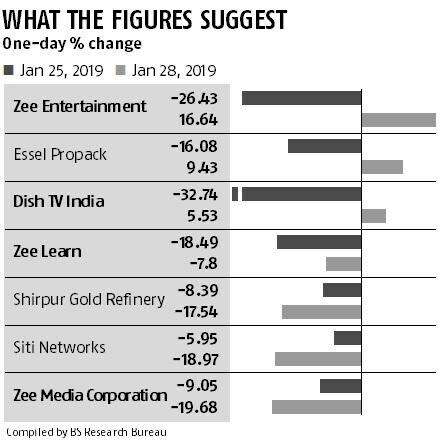 A sharp rebound in shares of Zee Entertainment Enterprises and Dish TV India, despite weakness in the overall markets, helped soothe nerves of investors, whose thousands of crores are riding on the group's debt and equity. Shares of Zee Entertainment rose 16 per cent on Monday, after dropping over 30 per cent in the previous session, after the company reached an agreement with lenders to not invoke the pledged shares. Shares of Dish TV gained nearly six per cent after crashing 33 per cent on Friday. A fresh round of sell-off in the troubled group stocks would have triggered invoking of pledged shares, which could have compounded the woes for both Zee and lenders, such as mutual funds (MFs), who have extended loans worth Rs 8,000 crore against shares to promoter group entities. As part of the agreement, 97 per cent of the lenders have offered three months to Zee Entertainment to find a strategic partner. In the interim, they have decided to not invoke or sell shares of the company. The sharp fall on Friday, coupled with the financial trouble at the Zee group, had raised concerns that lenders would be forced to liquidate their holdings. "If not for the agreement, there could have been another round of heavy selling in the Zee group shares. Given the circumstances, the arrangement is a win-win for both. We are hopeful that Zee holds on to its end of the bargain and soon finds a buyer to ease the liquidity concerns," said a fund manager. If the lenders would have revoked or sold the shares in the open market, it could have resulted in a haircut. By doing a strategic sale, there is a high possibility that the company might find a buyer at a much higher rate, the fund manager explained. Shares of flagship firm Zee Entertainment closed at Rs 373 on Monday, 20 per cent below its six-month average price. The confidence shown by fund managers and analysts in Zee's intrinsic value has helped improve sentiment towards the stock. 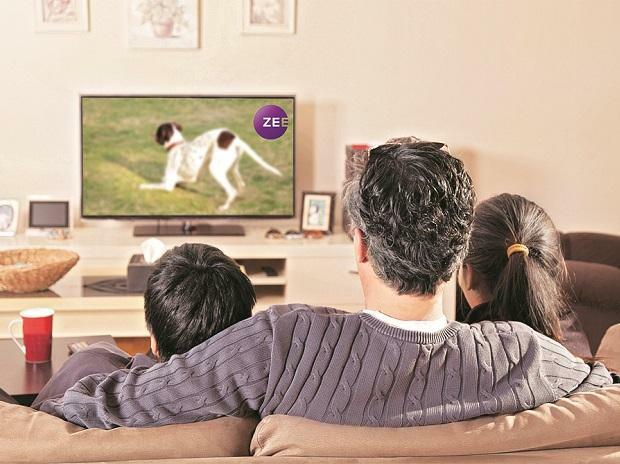 "Zee operations remain on a strong growth trajectory... see the stock delivering 19 per cent earnings CAGR over FY19-21. With a sharp fall in stock price, Zee's valuations are compelling...," said a note by CLSA. "We revise to 'Buy' from 'Accumulate' citing inexpensive valuations, with a new target price of Rs 490 (down from Rs 535) on 23 times (down from 25 times) FY20 estimated earnings — a slightly lower multiple after factoring in the uncertainty," said another note by Elara. However, some investors continue to be watchful. "Zee is not entirely out of the woods yet. We didn't expect so much diversion of funds to unrelated businesses such as infrastructure. MFs can only help to a certain extent. In case there are high redemptions by investors or if there is rating downgrade, some fund houses will be forced to act. The whole saga is far from over," said another fund manager.